Inspired by the braided hairstyles in Marissa Webb’s Spring 2015 show, I couldn’t help but create this illustration that features a braided pompadour, which was created by hairstylist Jeanie Syfu. 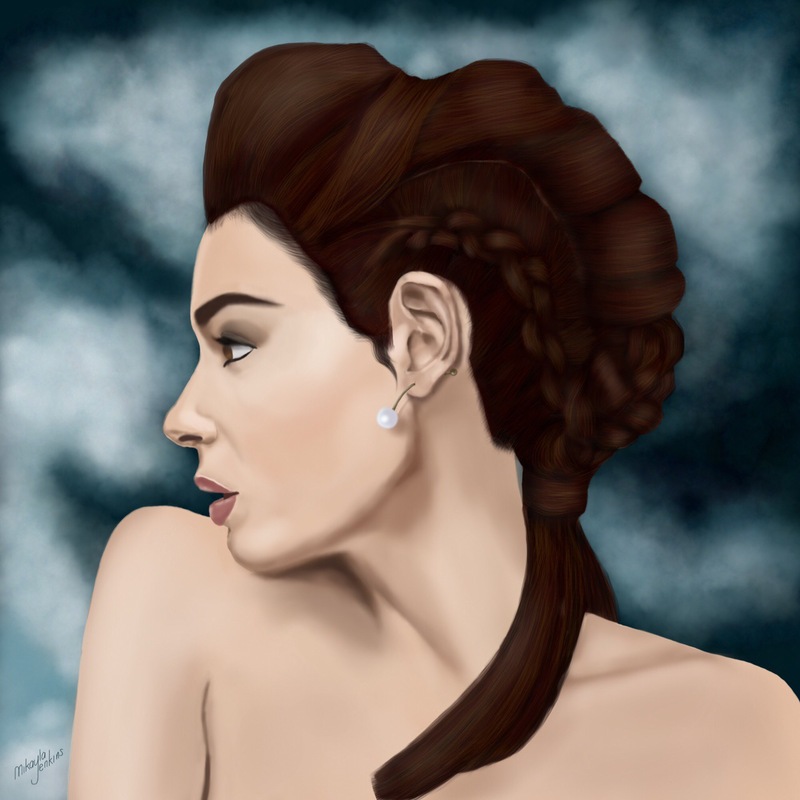 Also, I included Sophie Bille Brahe’s Elipse Gris earrings in this illustration, because I think they complement the braided pompadour perfectly. In the end, I think the overall look conveys an edgy yet sophisticated vibe.